Bring some urban jungle into your flat! 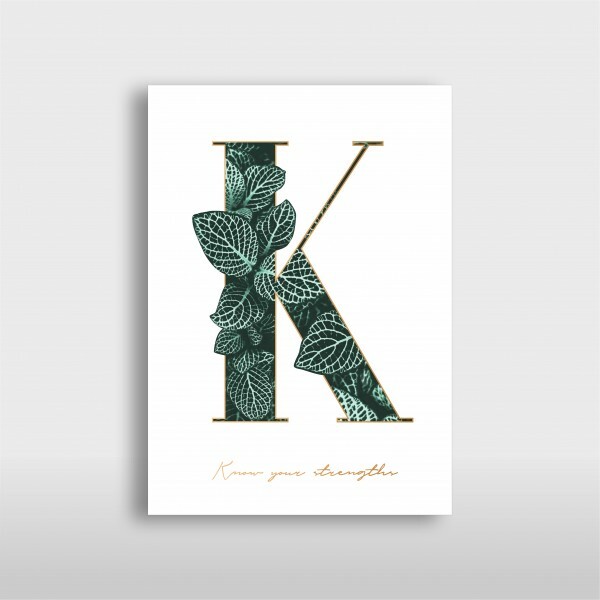 On the walls, the nightstand or dresser; if framed or on their own – due to the firm cardboard material, the green and gold A3 letter prints with your initials or favorite letter from the alphabet stand out no matter what. The perfect addition to your interior pieces and inspirational poster wall!